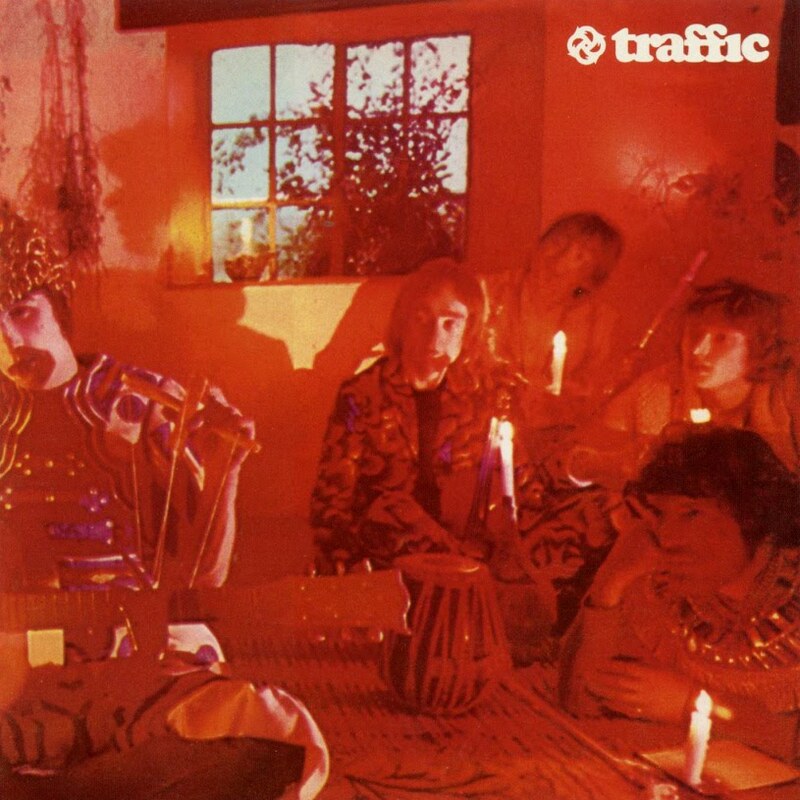 Traffic was originally formed in April 1967 by Stevie Winwood after he left the Spencer Davis Group. The four original members retreated for six months to a country cottage in Aston Tirrold in Berkshire to get themselves together. Mason and Capaldi had all previously played together in Birmingham-based group, Deep Feeling. Wood had previously played with Locomotive. Their debut single, Paper Sun, which featured some fine guitar runs of Mason's, was an ideal Summer single and climbed to No 5 in the UK chart. The follow-up, Hole In My Shoe, was arguably one of the classic UK psychedelic 45s. It was based on a dream of Mason's, and became one of the flower-power anthems of 1967. A further single, Here We Go Round The Mulberry Bush, reached No 8 in November 1967 and the release of their debut album, in December, crowned what had been a highly successful year for the band. Mr. Fantasy contained many fine tracks like the melodic Dealer, the Eastern-influenced, mystical Utterly Simple, the jazzy Coloured Rain, and the more commercial tunes like Heaven Is In Your Mind and the title track. However, there was clearly friction within the band, between Mason's melodic, commercial tunes and the remaining members of the band who were more jazz-orientated. Mason left in December 1967, but rejoined in May 1968. During his absence the band enjoyed a minor UK hit (No 40) with the Winwood-Capaldi composition, No Face, No Name, No Number. With Mason, having rejoined, the band cut a second album which, whilst not as strong as their debut, is also worth investigation. They were also featured in the United Artists soundtrack to sixties cult film, 'Here We Go Round The Mulberry Bush'. However, after Mason quit the band again in October 1968 they disintegrated six months later. Last Exit, a part live and part studio recording, issued in May 1969, was a rushed job which does not do them justice. Island also issued a Best Of Traffic compilation. Upon the demise of Traffic, Mason, Capaldi, Wood and (Wynder K) Frog formed an ill-fated outfit which lasted from January to March 1969 and retreated to a country cottage in Worcestershire, but did not record. Winwood, meanwhile, first became a member of Blind Faith, that short-lived supergroup, and then joined Ginger Baker's Airforce for a short while. In January 1970, Winwood began work on a solo album provisionally titled Mad Shadows. Capaldi and Wood came in to assist on the sessions and Traffic reformed as a trio. The resulting album, John Barleycorn Must Die, was a superb fusion of jazz, rock and traditional folk; indeed, the title cut dated back to the 15th century. All three cuts on side one - Glad, Freedom Rider and Empty Pages, are superb blends of jazz-influenced rock whilst Every Mothers Son is uncannily similar to Blind Faith's Sea Of Joy. After the John Barleycorn album, they headed, with the addition of Ric Grech, for Morocco to write the score for a movie, 'Nevertheless', that never became a reality. The dope there was too tempting and they spent most of their time getting stoned and sunbathing. When they returned in May 1971, the line-up was expanded to a sextet (D), incorporating Gordon, a US sessionman, who'd played for Derek and The Dominoes and Kwaku-Baah (ex-Wynder K. Frog and Airforce). Even Mason rejoined for half a dozen gigs after returning from California. They toured both the US and UK and cut a couple of quite successful albums. The first, Welcome To The Canteen, included some live recordings which Mason played on. They also had a minor US hit with their live revival of the Spencer Davis Group's Gimme Some Lovin' from it. This line-up's second album, The Low Spark Of High Heeled Boys, went gold in the US and from it Rock'n'Roll Stew (Part I) was a minor US hit. In December 1971, Ric Grech departed (later joining KGB) and Gordon returned to session work in the USA. In January 1972, Stevie Winwood contracted peritonitis, which gave the band an enforced period of inactivity. Jim Capaldi recorded a solo album, Oh How We Danced. Whilst recording it at Muscle Shoals he befriended Hood and Hawkins, inviting them to Jamaica to help record the next Traffic album, Shoot-Out At The Fantasy Factory, which again went gold in the US but flopped in the UK. They went on a World Tour in 1973 and headlined at the Reading Rock Festival that year. The double live album, Traffic - On The Road, which made No 29 in the US and No 40 in the UK, was recorded on this tour. When they returned from the tour Kwaku-Baah, Hood and Hawkins all departed for session work and the band's other players all took a couple of months rest. When they returned, former Gonzales bass player Rosko Gee augmented the remaining trio for some live UK engagements and played on When The Eagle Flies. This was another finely crafted jazz-influenced rock album - it turned out to be their last because, after another successful tour in the US, where the album had become their fourth to go gold, they decided to split to concentrate on their solo careers.